Disclosure: Items were received for inclusion but all thoughts are my own. It’s nearly August which means if you haven’t heard “I’m bored” from your children yet, it’s coming…. 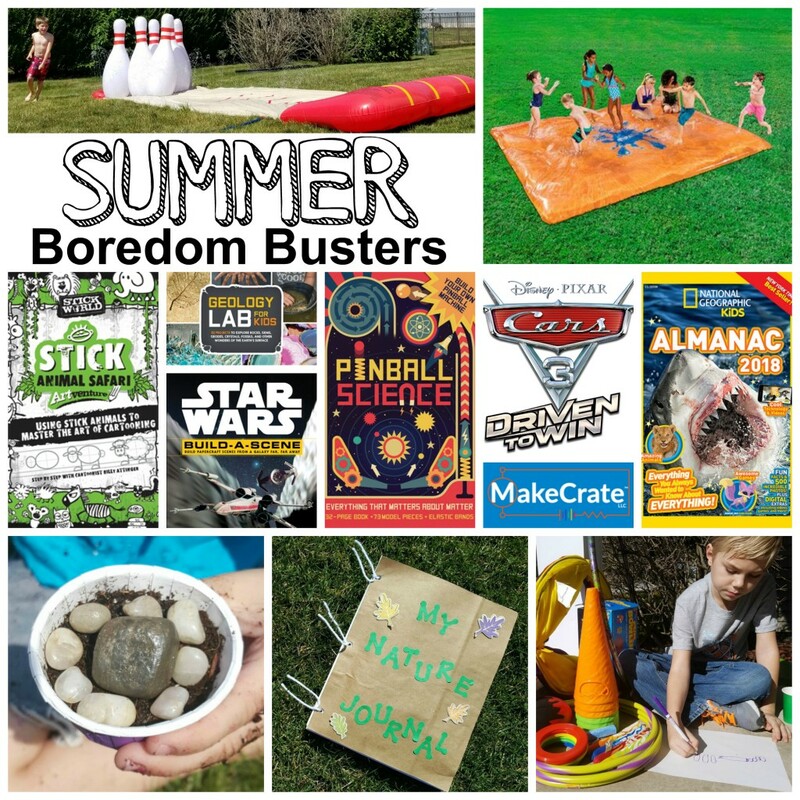 Today I wanted to share some of my favorite summer boredom busters to keep your kids occupied at home as you all enjoy the rest of the summer season. The best way to cool off on a hot day? Playing in water. We are loving the H2OGo! Slide-n-Splash Bowling. This isn’t just any slip n’ slide- your kids will become human bowling balls as they slide and try to knock down all the inflatable pins before they land in a shallow pool of water. Another awesome thing kids will love is the new H20Go! Fun Blobz which is a cool, cushioned surface for kids to slide across and jump on. They’ll enjoy an afternoon of squishy, slippery fun in the backyard! No need to go out and buy materials for these crafts because all 100 ideas use materials you probably already have around your house. 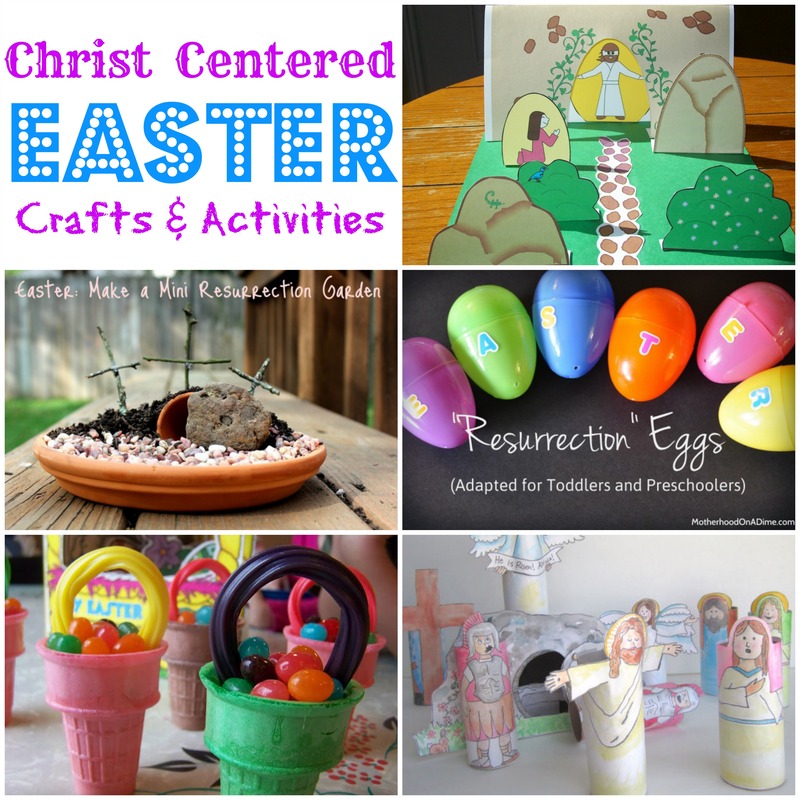 Find the craft list here. MakeCrate offers carefully curated and tested electronics kits that include all the parts older kids need (along with step-by-step instructions and video tutorials) to build fun projects. Have a Star Wars fan? They’ll love the Build-A-Scene Star Wars kit that provides everything they need to make iconic papercraft scenese from the Star Wars universe. Kids and teens can recreate the drama of Obi-Wan Kenobi and Darth Vader’s duel on Mustafar from Revenge of the Sith; the nail-biting trench battle on the Death Star from A New Hope, and the Kylo Ren and Rey lightsaber fight in the snowy forest of the Starkiller Base from The Force Awakens. Have your children work together to create an obstacle course using cones, hula hoops, chalk or whatever else you may have sitting in the garage. I encourage my boys to plan it on paper first and then set it up using the blueprint they made. They can take turns going through it and you can even challenge them to make a fun obstacle course for you to go through as well! Science during the summer? YES! Kids will enjoy doing the experiments in Geology Lab For Kids. The book features 52 simple, inexpensive, and fun experiments that explore the Earth’s surface, structure, and processes. Looking to keep kids busy in the evening? Send them on a flashlight hidden message letter hunt. Hide rocks with letters on them in the backyard and then send them out with flashlights to find them all. Kids then use the rocks to figure out your secret message. When we did this we hid chocolate in our house and then the boys had to figure out the secret message that would lead them to where exactly the chocolate was hidden in our home. After they found the chocolate “in the kitchen where the food is kept cold” we used the chocolate to make s’mores and ended the night together around the firepit. Do you have an artistic child? They will love Stick Sketch School: Animal Safari Artventure, a book that helps children learn to draw stick figure animals in 3 easy steps. I love that this book offers creative prompts throughout and encourages kids to pretend that they are on an animal safari, documenting all that they see. Summer is the perfect time for kids to be messy because kids can keep most of the mess outdoors. 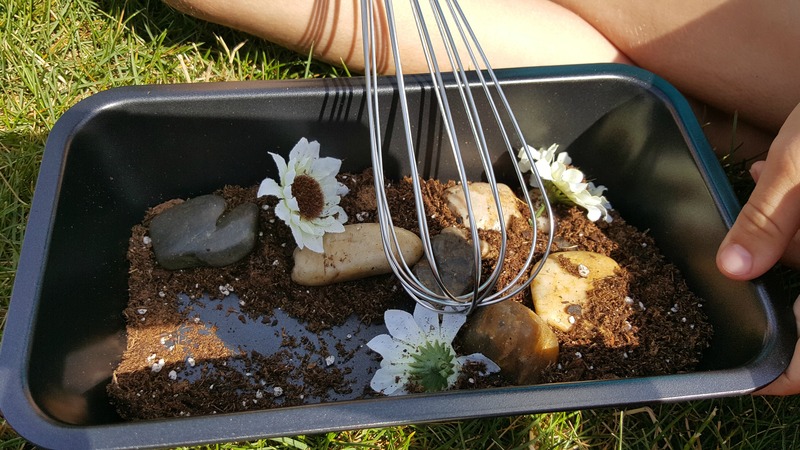 Mud pies and other muddy creations are fun to make and setting up a mud pie kitchen is a great way to let children be creative. Both budding scientists and game lovers will enjoy this fun book and kit. Pinball Science is a hands-on opportunity for children to build their very own pinball machine and then learn about basic science from its workings. This cool handbook is packed with engaging graphics helps young scientists come to grips with fundamental concepts like gravity, force, and acceleration. Did you know that NASA is developing a 3-D printer designed to make hot, edible pizza for astronauts to enjoy in space? Or that a flying dragon lizard can glide through the air for 30 feet? Your child can learn all sorts of interesting facts like this in the National Geographic Kids Almanac 2018. The book is packed with more than 300 pages of news, facts, features, photos, games and learning fun! Follow these easy instructions to make a nature journal and then explore your backyard and neighborhood while your kids journal what they see around them. Nature walks are a great way to get some fresh air while kids learn about the world around them. Kids love building with LEGO bricks but did you know there’s plenty of ways to learn with them? I’ve rounded up 30 of my favorite learning activities that cover everything from math to science to reading & writing here. Whether they make a magnet maze or a wind turbine, they will have so much fun they won’t even realize they are learning! How are your kids keeping busy this summer? Thanks to Afterschoolz for sponsoring this post. 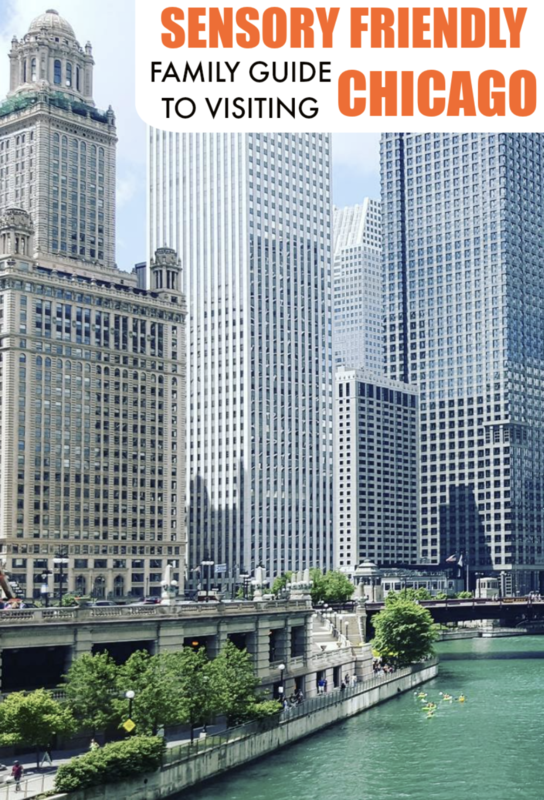 At the beginning of this year I shared about a helpful resource called Afterschoolz, a website that helped caregivers find activities for their kids in the Chicago area. The site was pretty new at the time but had such a great variety of activities listed and new ones being added frequently. I really liked the variety of activities provided, from sports to STEM classes to unique things like anime club. There seemed to be something for everyone. 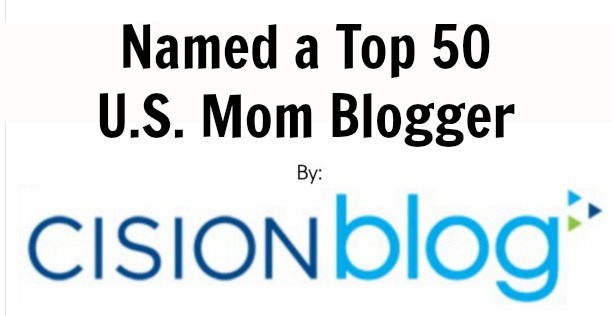 Since the site was fairly new, they were looking for feedback and asked Making Time For Mommy readers what else you’d love to see available on the site. I know many of you asked for better search functions and I’m happy to say that the folks at Afterschoolz heard your request and made updates to make the search options even better. This is great news for those of us still looking for summer activities! Personally, I have been wanting to find a gymnastics class for Lucas because the one he goes to at our local park district was cancelled this session and he was really disappointed. When I searched Afterschoolz I was excited to see many options, including gymnastics studios nearby that I never knew existed. Searching the site to find local activities your children would enjoy is so easy using their new search feature with adjustable filters. You can pick the kind of activities you’d like by main category (academics, arts, athletics, camps or preschool) or search by specific activity keyword like “crafts” or “hockey”. You can look at all activities in your area or narrow the activities to only show ones within 5 miles of you. You can narrow the search even more by adding in more specifics about your child like age and gender and price limits if you are on a budget. My favorite feature though, is the date and time filter. With a busy schedule I like being able to put in the hours that we have open and be able to see classes and lessons that are during those time periods. It’s great not having to search through dozens of activities looking for ones that work for our family’s schedule because this filter does all that work for us. So whether you are looking for a summer camp for your tween, an art class for your preschooler or a dance class for your budding ballerina, Afterschoolz is the website Chicago area parents will want to check out. In addition to the great search function, the site shows detailed descriptions along with ratings and parent feedback on activities. There is even the option to sign up for the activities right on the site making this an easy to use resource parents will refer to for years to come! What summer activities will you be searching the site for? 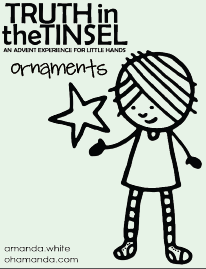 Thanks to the Toy Association for sponsoring this post as part of their Genius of Play campaign. Did you know that kids learn through play? Whether they are building with blocks, playing with dolls or running around the playground, play is an important teaching tool! Through play, kids learn how to interact with others and develop critical lifelong skills. Today I’m sharing 6 benefits of play and how they each play an important role in raising well-rounded children. 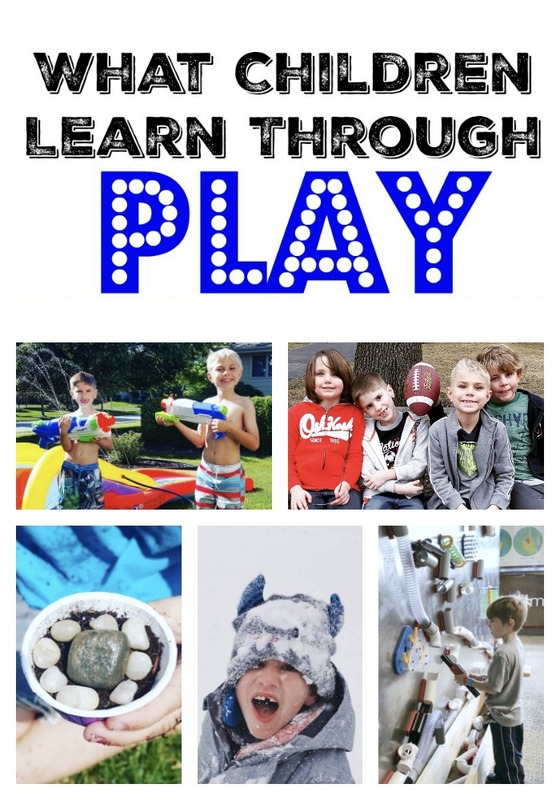 I’m also sharing some fun activities for each in case you are looking for more ideas to keep the kids learning through play all spring and summer long! Active play helps kids with coordination, balance, motor skills, and spending their natural energy (which promotes better eating and sleeping habits). While sports are a favorite way for my boys to play outdoors, they also enjoy creating obstacle courses, having water gun fights and batting balloons around trying to keep them in the air. When I was younger, my favorite active games were Sardines (like hide & seek but you hide with the people when you find them) and Capture the Flag. During play, kids learn to cope with emotions like fear, frustration, anger, and aggression in a situation they control. They can also practice empathy and understanding. One way that kids can work through emotions is by role playing- so things like playing house or with dolls is great for working on these emotional skills. 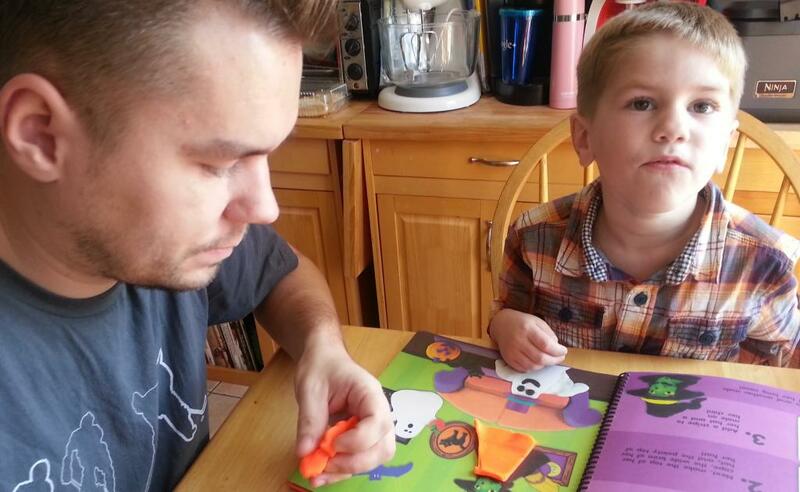 Reading stories about emotions and talking about them and acting them out, like in this activity called Mad Face Scary Face, is helpful as well. Musical Feelings is a fun active, musical game kids can play to talk about emotions, too. Playing with others helps kids negotiate group dynamics, collaborate, compromise, deal with others’ feelings, and share – the list goes on. I’ve noticed great strides in my children’s social skills after they go to summer camps and over the years as they have been involved in a number of activities. Being around other children really does help them grow. Whether they are playing team sports, chasing after each other in a game of tag, or playing a board game, children learn social skills as they navigate game rules and learn to work together towards a common goal. By allowing imaginations to run wild during play, kids create new worlds, and form unique ideas and solutions to challenges. One of my favorite creative play activities is making mud creations. Children enjoy this messy fun and it’s a great way for them to be creative with nature. 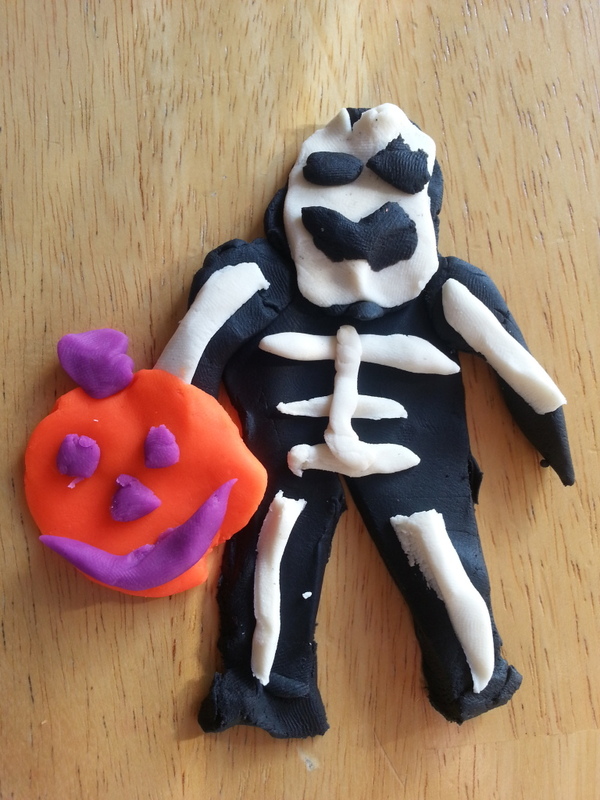 Open ended craft activities allow children to be creative as well. As a teacher, I’d often set out a variety of materials on the classroom tables and it was fun to watch what the children created out of the random materials they were given. Children learn to think, read, remember, reason, and pay attention through play. STEM toys and activities are great for encouraging children to learn cognitive skills. Activity ideas include making marshmallow sculptures with toothpicks and marshmallows, playing 20 questions, and creating a marble run. Children don’t even realize how much they are learning because they are having so much more fun learning these skills through activities than they would have sitting in a classroom or doing worksheets! Play lets kids exchange thoughts, information, or messages by speech, signals, writing, or actions. 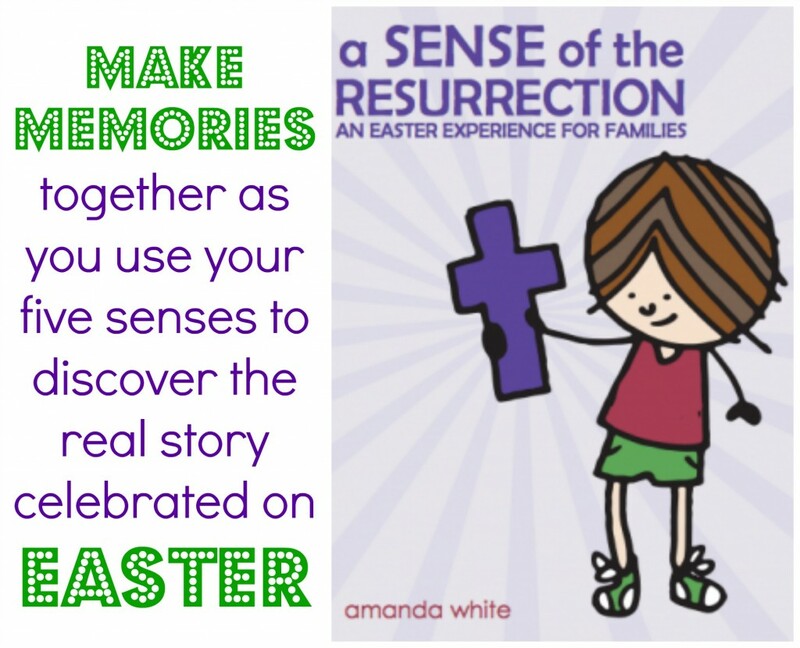 There are so many fun activities that kids can do to strengthen their communication skills. I shared 25 fun writing activities here– from writing out a script for a play they can act out with friends to making a treasure map to using sidewalk chalk to create a town or race track for their toy cars. Another fun activity to do in Spring is to create a nature journal to draw pictures of what they see on their walks. Want more activity ideas? Check out the Genius of Play website. What are your child’s favorite ways to play? Lucas loves messy activities, whether it’s painting, playing with playdough, digging in a sensory bin or building castles in the sandbox outside. I thought making mud creations would be a fun activity for him so we gathered everything we needed for a mud/dirt kitchen and then he set out to create a mud “cake”. (If you are thinking this sounds like a super messy activity, you are right but don’t worry- I had the new all® POWERCORE™ Pacs OXI on standby so I knew I’d easily be able to get his shirt clean, bright and smelling fresh again). You can gather anything you find in your backyard or have in your art area. Other things that would be good additions to a mud kitchen include sticks, acorns, pine cones and pie tins. I gave Lucas a chef’s hat to wear and set the “ingredients” out for him. I then let him get to work on his creation, giving him little direction. He started out with a little soil, some rocks and some flowers. He then added water, mixing it while he went. He made a layered creation, much like his favorite desserts, and topped it with the colored sand to imitate”frosting”. After he was all done making his creation he loved digging through the mess to find all the rocks and flowers. Of course he also liked squishing the mixture between his fingers! Once we had cleaned up our pretend mud creations I decided that we should end the afternoon with a creation that we COULD eat. Chocolate pudding, chocolate sandwich cookies and gummy worms combine to make “dirt cups”, one of our favorite fun treats! I kept Lucas in the clothes he had been wearing earlier which was good because he ended up getting pudding all over himself as he made his snack and ate it. Thankfully I had all® POWERCORE™ Pacs OXI in my laundry room because by the end of the afternoon, Luke’s shirt had dirt, colored sand and chocolate pudding on it. These new products are the first ever powder-liquid combination pacs and perfect for tough kid stains. You can find both all® POWERCORE™ Pacs OXI and all® POWERCORE™ Pacs Plus Removes Tough Odors at your local Walmart. Both products offer superior whitening & brightening along with a powerful clean. What messy fun will your kids have now that keeping their clothes clean, white and bright is easier? Make sure to head to Target and stock up on over the counter medicines that will make your little one feel better when they are sick! 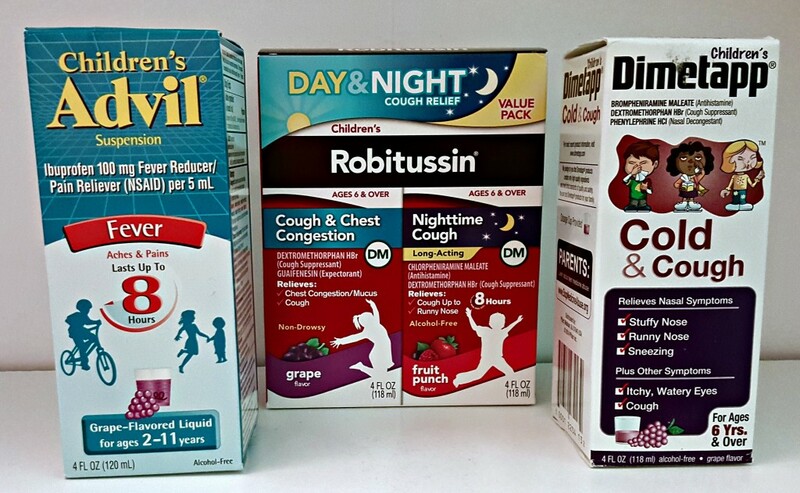 Our must-have list includes Children’s Robitussin®, Children’s Advil® and Children’s Dimetapp®. Giveaway ends April 15, 2016 at 11:59pm CST. Must be 21 or older and a US resident to enter. 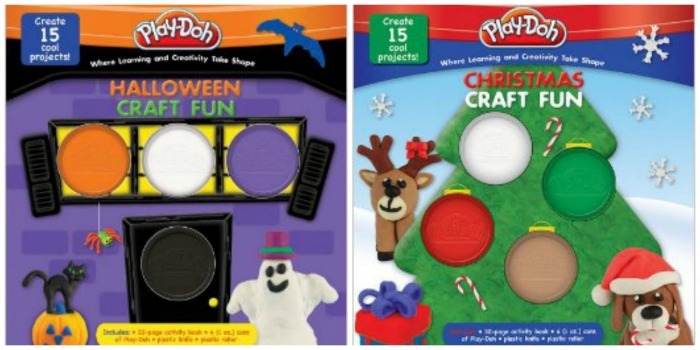 This week I’m sharing letter “D” crafts and activities. 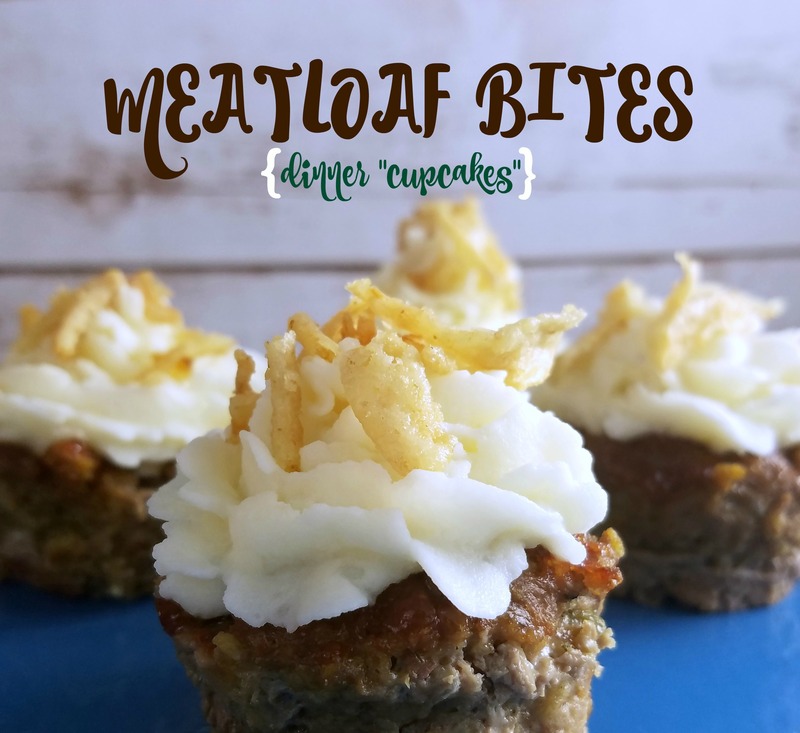 Check out my Pinterest board for lots of fun ideas!